People of Hong Kong, I Hear You Sing. Let Your Light Shine! I don’t write much about my personal views here, but as a Hong Kong transplant living in NYC, I would like to share this humble post with anyone who would care to read it. This much I can do. I wanted to thank those of you who are on the ground right now and those of you who have been posting the latest from the current protests in Hong Kong. Every article I’ve read, every picture I’ve encountered, and every video I’ve seen, raises the hairs on the back of my neck. I had moved away from Hong Kong years ago and had the benefit of participating in this prosperous city before any of the recent transitions. While my time here in the US has been life transformative, never would I downplay the role Hong Kong had in my growth. The great education that my alma mater (Diocesan Girls School) gave me, the lifelong friendships of the girls and the families I grew up with, the spirit of excellence and competitiveness that was instilled in me. The love of culture, food, the excitement of traveling, freedom of expression… the list goes on. I’m in disbelief. Because all those things I’ve taken for granted, my constant, my foundation of my home, everything, is changing. But I am also hopeful and proud. Hopeful because hope is the only thing greater than fear. 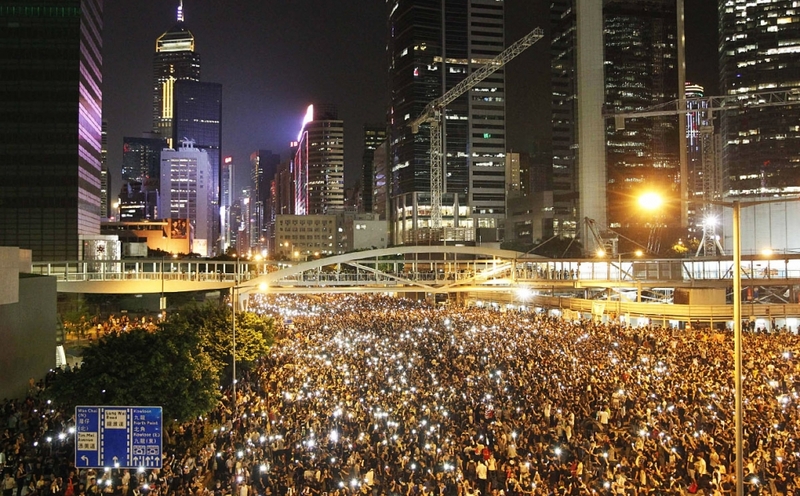 Proud, because of the resiliency, the civility, that the Hong Kong people are showing the world. The world is indeed watching and listening. I know many will say, what can Hong Kong, a little city, do against a large government with money, natural resources, and an army? We can unite. In this trying time, Hong Kong is representing much more than our own freedom, we are fighting for all the sisters and brothers around the world who are fighting the same good fight. We, the people, against all odds, will be the beacon of light that will never extinguish. My thoughts are with you all, be safe. Is it Fall Magic? No, it’s Apple Saucery! Thank you @theroadtripgirl ! It is a great feeling to know that this echoes with you and that we are not alone!